Bailieborough News. April 16th 2018. Matthew J. Cullen. Bailieborough Heritage Society Presents ‘Killann and the Parishes of East Cavan 1400-1800’, a lecture by Fr Liam Kelly at Bailieborough Library, Market Square, Bailieborough on Thursday, April 19th, 2018 at 7.30pm. Everyone is welcome to this FREE event and refreshments will be served! Enquiries to 042 9665779. Congratulations to our Unit Officer Peter McCabe who has been short listed for Unit Officer of the Year. The Over- all winner will be announced at the Irish Red Cross Volunteer of the Year Awards on Saturday 28th April in Croke Park. Best wishes to Peter from all in the community. The Annual ‘Spring Clean’ will take place in the town on Saturday, April 28th 2018. Meet at Market Square at 11 am. Bring a litter picker and wear a high viz jacket. Children under twelve must be accompanied by an adult. Join us and help keep out town tidy. Reduce waste and keep Cavan tidy by investing in a reusable blue coffee cup with Cavan logo. Ideal for coffee lovers and Cavan fans. This cup is for sale in Daybreak on Barrack Street and is also available in Bailie Stores. All proceeds go towards the local Tidy Towns. First Confession for the students in 2nd class in St. Felim’s will take place in St. Anne’s Church on Thursday, April 19th at 7.00pm. (Please note the change of time). We will hold our AGM in the Hotel Kilmore on Thursday, 26th April at 8.30 p.m. We would love to see some new faces (as well as the old familiar ones!) this year. It is important to have a strong committee so that we can plan events and cater for the interests of our branch as best we can. Hope to see you there! All welcome. We wish to thank everyone who supported our recent Quiz Night and are pleased to confirm that €864 was raised on the night. Sincere thanks for your continued support. Bailieborough Heritage Society were amongst 4 groups that were short listed in the Communities Award at the Heritage Society Awards. Sadly, we did not win, however, congratulations to the winner and to the staff involved in Heritage Week. Our project was a lovely one and we got great feedback from the community and the staff from Heritage Week. We are now working on this year’s events and if anyone would like to get involved, they are more than welcome. New members always welcome to the Heritage Society, please contact 0872244159 for further information. Bailieborough School of Music: Lotto results for 14-04-2018. Tyler Cadden and Margaret Carolan. Jackpot next week, €2,500. A Lough Derg ‘One Day Retreat’ will take place on Sunday, May 6th –organised by the St. Vincent DePaul Society. A bus will be leaving the Community Centre at 7.30am. To book a seat, please contact John at 086 055 4578 or Pat at 086 063 5856. Bailieborough’s Arts and Music Gathering, taking place at 9.00pm on Friday next, 20th April, Downstairs at Nixy’s, The Square Bar, Bailieborough. Guests: Elly D (Singer/Songwriter), Carol O’Connor (Visual Artist) and Dean Maywood(Singer/Songwriter). Free admission (donations welcome). All welcome. Mullagh 9:30am – Morning Prayer followed by tea and coffee. Friday 27 April: FOCUS Youth Group 8:30-10pm – Trinity Hall. Sunday 29 April – United Service: Bailieborough 10:45am – All-Age Service. Bailieborough Hall 11:45am – Parish Lunch and Ignite Vision and Mission Forum. Computers for beginners afternoons or evenings Bailieborough Business Centre 042- 96 94 716. 6 weeks of Spanish for Adults starting on Tuesday, 24th of April in Bailieborough Business Centre. Lessons will be given by a Native Spanish Teacher. Times: 7 – 8pm Beginners, and 8 -9pm high beginner and low intermediate. Price: € 60 for the 6 lessons or €12 per lesson. For more information or to register please ring or message Lydia on 087 7414735. As part of the Cavan Walking Festival, the Bailieborough Walking group will be hosting three walks. The first of these will take place on Saturday, May 5th around Bailieborough Forest. Distance covered will be 5k and participants are asked to meet at the Bailieborough Business Centre, Shercock Road at 11.00am. The second Walk will be at Dun A Ri, Forest Park, Kingscourt on Tuesday, May 8th at 7.00pm. Please meet at Cabra Central School at 6.45pm and the distance of the Walk is also 5k. The final walk will take place on Thursday, May 10th at Lough An Leagh. Please meet at the Picnic Area at 6.45 pm. The Walk distance will be 10k and all are most welcome to attend. This year’s Killann Parish Pilgrimage will be to the World Meeting of Families in the RDS, Ballsbridge, Dublin on Thursday, August 23rd. A bus will be travelling to the RDS from Bailieborough and further details will be announced later. If, however you would like to book a place on the bus, please contact the Parish Office on Mondays and Thursdays from 10am to 3.30pm, Tuesdays from 12pm to 1.30pm and Fridays from 2pm to 6pm. Everyone going that day will also have to register online at www.worldmeeting2018.ie and buy a ticket online for the event. Adults-€38: Senior Citizens/Unemployed/Students over 18-€33; Children-Free –but must be registered with a family group. If you have difficulty doing this, please tell the Parish secretary and they will provide you with assistance. At present, tickets for the Papal Mass in the Phoenix Park on August 26th are dependent on registering for the World Meeting of Families during the previous week. It is hoped to organise a bus from Bailieborough on that day too. The following are the available dates for Baptisms in St. Anne’s Church–May 5th (Saturday 1.30pm), May 20th (Sunday, 12.30pm), June 10th (Sunday, 12.30pm), June 23rd (Saturday 1.30pm), July 7th (Saturday, 1.30pm), July 15th (Sunday, 12.30pm), August 11th (Saturday, 1.30pm) and August 19th (Sunday 12.30pm). Under 7/9/11; Under 9 blitz in Carrick next Sunday 11-12.30pm. Really good numbers at our new age grade training for Under 9s and U11s. 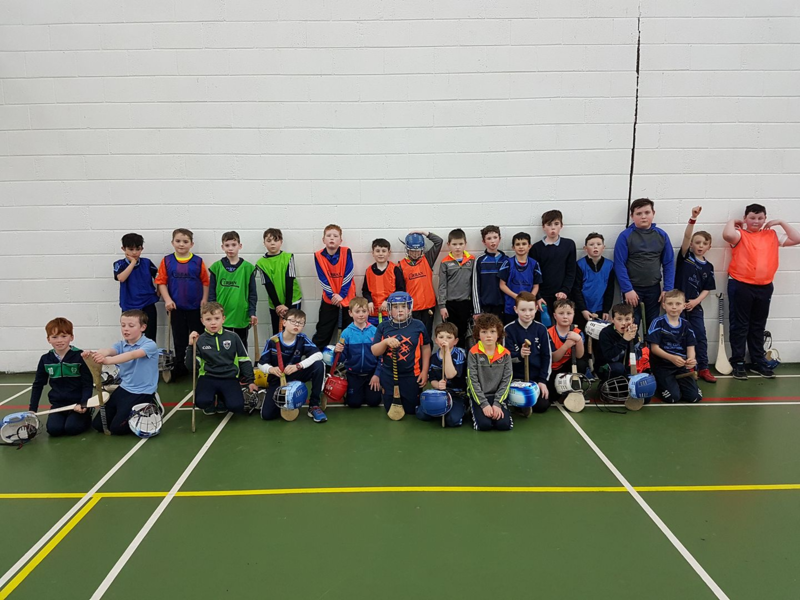 Fridays U9/11 training group in Bailieborough. Under 13; A good win for the lads v Cootehill on Monday last in Kingscourt. Next up is the grading blitz for the new Tain Ulster GAA Under 13 competition in Cloghan next Saturday. 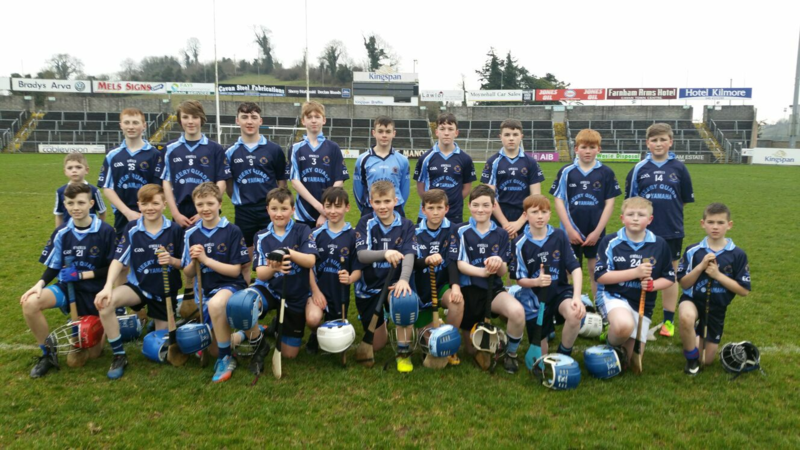 Feile U14; The lads will represent Cavan hurling at National Feile again this year. We will be based in the scenic area of Rosses Point in Sligo with host club Benbulben Gaels Hurling. Our 2018 Feile squad (minus a couple of injured players) who will head to Sligo in June. Under 17; Cavan Celtic begins in early May for lads on county squad. New Monaghan league for U17 begins in early May with a game away to Carrickmacross. Thursday; Kingscourt indoors U7/9/11 Community Centre 6.45-7.45. Friday; Bailieborough indoors. U7 6-7 & U9/11 7-8pm. Saturday; U13 Tain grading blitz, Cloghan. Sunday; Under 9 blitz in Carrick 11-12.30pm. http://bailieborough.com/wp-content/uploads/2015/09/bborocomlogo2015-300x130.png 0 0 Lee McDonnell http://bailieborough.com/wp-content/uploads/2015/09/bborocomlogo2015-300x130.png Lee McDonnell2018-04-18 10:13:022018-04-18 10:13:02Bailieborough News. April 16th 2018. Matthew J. Cullen.